XOLO PLAY T1000 is now available for pre booking . Xolo is well known for its snappy Android devices based on Intel & Mediatek as well .As far the Micromax launched Micromax Canvas 4 A120 the Gionee has also launched Gionee Elife E5 . Both Gionee Elife E5 & XOLO T1000 are powered by Quad core processor cloacked at 1.5GHZ frequency . But Gionee E5 has Mediatek Mt6589T chipset where as the Xolo has NVIDIA Tegra 3 . Gionee E5 has 4.8inch SUPER AMOLED plus HD display as compare to the T1000 Play . iberry has also announced iberry Auxus Nuclear N1 with 1.5GHZ 4 core cpu & gesture control . Xolo T1000 Play is specially made for gaming lovers . To boost the performance of the device and make it snappy there is 1.5GHZ NVIDIA Tegra 3 Quad core CPU + 416MHZ 12-core NVIDIA ULP GeForce GPU . Nvidia processor & graphic cards are generally meant for providing enrich gaming experience to the user . If you are a gaming lover then have a look at this smartphone . It has 4.7inch 720p resolution IPS display with OGS technology . The display of the device offers 5multi touch . The playback on the device will be surely smooth . It is capable of recording & as well as playing 1080p videos at 30fps . 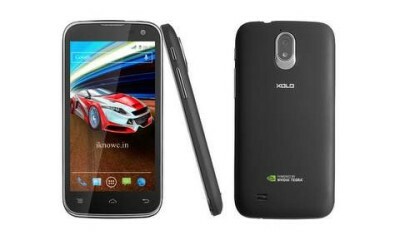 The Xolo T1000 Play weights 162g . The Play T1000 has 1GB ram & 4GB ROM ( internal memory ) . The Xolo Play houses 2000mAh battery which claims the talk time 11hrs (2G) & standby time of up to 413 hours (2G) . The smartphone is running on Android 4.1 jelly bean OS . It has NVIDIA TegraZone for better Gaming . Features like 3G ( 21mbps ) , 2G , WIFI , Bluetooth , GPS , 3.5mm audio jack , micro USB connectivity & noice cancellation make the device more attractive . Those who want to own this before someone else own it can pre book it via Flipkart . We will provide you the XOLO PLAY T1000 review as soon as we get the device in our hand .